I am a big believer in being clear about our goals so that we don’t waste a lot of time pursing a fitness or nutritious goal that isn’t realistic or attainable. To me, saying “I need to lose weight” is inaccurate. What most people really mean is that they want to reduce their total body fat. 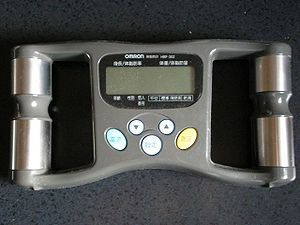 If we wanted to simply lose weight, it wold mean we would lose muscle, fat and bone mass across the board. And that is NOT healthy. One of the problems I run into, and many of my clients run into, is how to eat healthy “on the go.” I am a big fan of Lara Bars, “wraps” (tuna salad or hummus or even turkey in a pita or tortilla) and hot meals from Whole Foods. But for those of you that don’t have easy access to a Whole Foods hot bar, or even to healthy restaurants, Hungry-Girl has some great tips on how to start your day with a healthy and easy to prepare (read: quick to prepare!) breakfast. Note: Whole Foods Fat Free Tortillas are 100 calories and ZERO grams of fat. And, not to sound like your mother, but remember, eating breakfast helps keep your brain and body well fueled AND can help you with a fat reduction program (if you are trying to lose adipose tissue). Combine fresh or no-sugar-added frozen fruit, light yogurt, and light soymilk (or Unsweetened Vanilla Almond Breeze — YUM!). Throw that stuff into the blender with some ice, and pulverize your way to breakfast! a scoop of Jay Rob’s Egg White protean powder (again I am partial to vanilla although Jay Rob’s does make a tasty strawberry version). 100 calories and ZERO Fat, ZERO sugar an ZERO apartame, sucralose or artificial sweeteners! Blend and drink slowly so as not to give you brain freeze. It’s fast, it’s portable, and it has protein and carbs to satisfy you. Make one of these quickie scrambles-in-a-mug, stuff it inside a high-fiber or whole-wheat pita, and walk out the door. For more Hungry-Girl Breakfast tips, click here. To get more tips from Hungry_Girl, read her book, Hungry Girl 1-2-3: The Easiest, Most Delicious, Guilt-Free Recipes on the Planet, by Lisa Lillien. The new book, Hungry Girl 1-2-3, will help you make the world’s most delicious guilt-free appetizers, meals, snacks, desserts, etc., with practically no effort whatsoever! There are loads of crock-pot recipes, microwavable meals, HG’s famous “foil packs,” and more. Some are such a cinch, you won’t even have to turn on the oven or stove! Really. The book will be available starting March 30, 2010. To order your copy from Amazon.com for $10.79, click here. She’s not a nutritionist, she’s just hungry! 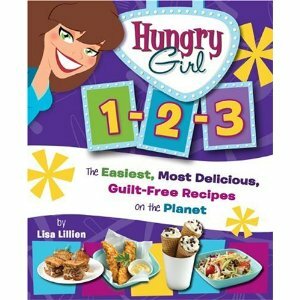 Lisa Lillien is a number-one New York Times bestselling author and the creator of the Hungry Girl brand. She is the founder of http://www.hungry-girl.com, the phenomenal worldwide free daily email service that entertains and informs hungry people everywhere! Make Room for Joy in Your Life and Home with Marie Kondo! Happy New Year, 2019 from Working Well Massage! A Butter That Helps You Breathe! Find Hiking Trails Near You...By Zip Code!